New with Recessed Logo for greater comfort on hands wrist & forearm! SMOOTH FINISH, Pay close attention to the finish when comparing to images of others, specifically how rough the finish looks and if there is the appearance of a seam. Casting a kettlebell leaves a seam or sharp rise across the middle of the underside of the handle. This seam needs to be filed down before the kettlebell is finished. Some companies do not remove this sharp seam and this can carve up your hand. Kettlebell Kings Powder Coat Kettlebells have a smoother finish because our casting process creates a smoother surface and imperfections are moved before applying the powder coat. Having a smooth finish protects your hands, wrists and forearms. Features: If a kettlebell does not have the features below it will easily chip and crack and not stand up to normal wear and tear. Make sure any kettlebell you buy is cast as one piece and is Gravity Cast if you want it to last. For this reason our cast iron kettlebells are the best for the price on the web. GRAVITY CAST, The most precise way to create a kettlebell mold. Gravity casting casts the iron to the specific weight you are creating. If a kettlebell is not gravity cast you risk not accurately casting the kettlebell to the same weight and dimensions as the mold ages. Cast Iron Kettlebells are the epitome of what comes to mind for a classic Russian Kettlebell. 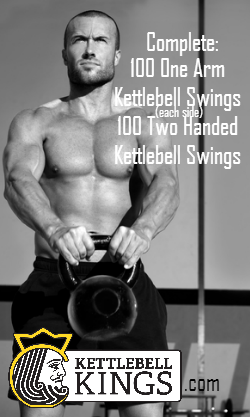 These Kettlebells are used by the United States armed forces as well as professional teams in all major sports. Cast Iron Kettlebells are considered the best value on the market because they are gravity cast with no welds, weak spots, seams or burrs, but are priced less than most brands of kettebells available. The one piece casting makes these kettlebells extremely durable when you cannot quite complete the last rep and drop the kettlebell to the floor. 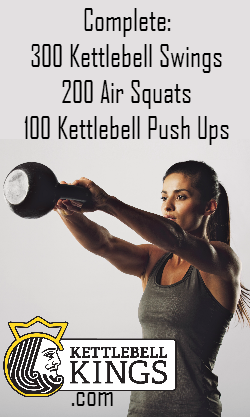 Here are some great workouts you can do with this kettlebell, you can see our 'movements' page for any questions about the exercises involved!